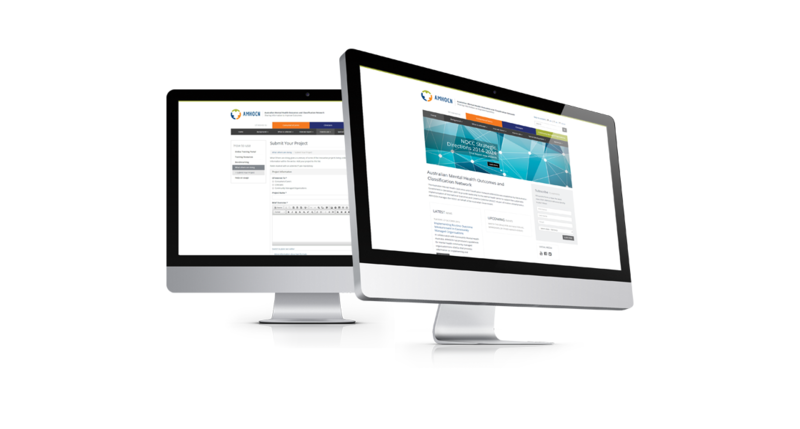 The AMOHCN is built with a responsive application. This means that no matter what device the website is displayed on, the user will not have to scroll horizontally, which allows them to not miss any information. The resource and document library that has been implemented allows not only the end user to sort through the documents easily, but also admin to be able to organise and upload fast and efficiently, there is also a related documents field which allows admin to easily link other documents that the user might find useful. 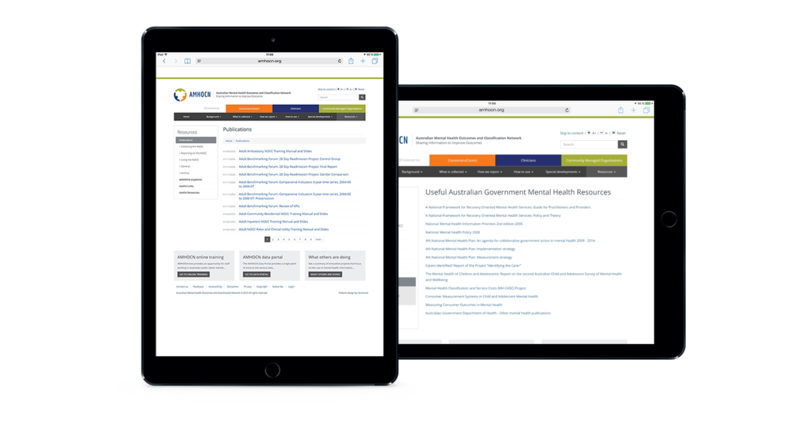 The Australian Mental Health Outcomes and Classification Network (AMHOCN) was established by the Australian Government to provide leadership to the mental health sector. AMHOCN manages the National Outcomes and Casemix Collection (NOCC) on behalf of the Australian Government. We were employed to give the website a brand new look to the outdated styles, as well as add some much need functionality to the website. Needing a refresh with some added features, AMHOCN approached us with a large request of features, all of which are now included in the their brand new site, this includes a full event management system which allows users to register for abstracts, a project submissions area, which allows users to submit full projects they are working on which will be displayed on the website, this also includes a moderation and notification system for the administration, and a categorisation which splits the site into essentially 3 different sites, all of which show specific information pertaining to relevant category. We also implemented a resource library which makes it much easier for admin to organise the many publications and documents that are required to be available. The client was extremely happy with the Re-design and also the new features that have been implemented.